Have you ever thought about to climb Great Wall, to be part of the over 5000 years of history, to explore opportunities in China and many more? Would you like to have a Chinese Business Studies Minor/Asian Studies Minor? JMU Study in China Program might be just for you. Since the pioneer program in the summer of 2004, JMU Study in China Programs have taken over 200 students and faculty members from JMU, VCU, UVA, GMU, and Princeton universities to China. Among the activities are meeting business leaders and government officials, touring major historical and cultural sites and interacting with Chinese students on their campus. In the last few years, we visited almost all of the major historic and cultural sites in China, travelled as far as to Urumqi, Hohhot, Shanya, Hong Kong, Macau, Taipei and visited South Korea, Singapore, Malaysia, Thailand, Vietnam, Nepal and Japan. The duration of the programs in 2015 is eleven weeks. Among the activities are meeting business leaders and government officials, touring major historical and cultural sites and interacting with Chinese students on their campus. In the last few years, we visited almost all of the major historic and cultural sites in China, traveled as far as to Urumqi, Hohhot, Shanya, Hong Kong, Macau, Taipei and visited South Korea, Singapore, Malaysia, Thailand, Vietnam and Japan. Participating students could obtain JMU Chinese Business Studies Minor and/or Asian Studies Minor upon their completion of the programs in China. We will continue our effort to bring the best experience for participating students in our programs in the coming years. The eleven weeks programs from the middle May to early August each year feature a Chinese Business Studies Minor Program/Asian Studies Minor and a flexible program to fit the needs of participating students. 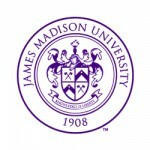 Students will take five JMU courses during the program. This program is open to all majors. Classes are taught by English-speaking Chinese faculty at Chinese universities, such as, Wuhan University, Wuhan University of Technology, Sichuan University, Southwest University of Finance and Economics and Tsinghua University, all are among China’s most beautiful and prestigious universities, and National Chengchi University, one of the best university in Taiwan. Semester in Beijing courses focus on Chinese language, culture, business, history, politics, and the arts. Among the program activities, students meet with business leaders and government officials, tour major historical and cultural sites and interact with Chinese students on their campus. Proficiency in the Chinese language is not required for this program; however students do enroll in one language course during the summer semester.